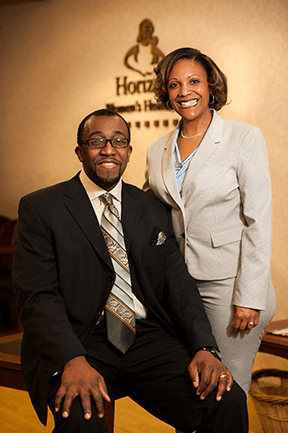 Horizons Women’s Healthcare and Family Medicine is a local, private medical practice that specializes in both Family Medicine and Obstetrics and Gynecology. Our providers are highly credentialed in their perspective fields of expertise. Our providers have taken on many mentorships with Miami Valley Hospital and Boonshoft School of Medicine and multiple Nurse Practitioner programs. See below for application procedures. 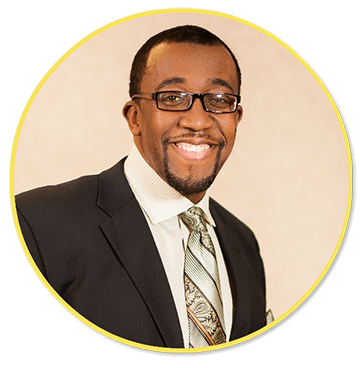 Dr. Andre T. Harris, MD, FACOG, earned his medical degree at Wright State University School of Medicine in Dayton, Ohio. He completed his OB/GYN residency at Miami Valley Hospital where he was appointed Administrative Chief Resident, and he is now the only black male OB/GYN with a practice in the City of Dayton. Dr. Harris is a member of the American College of Obstetrics and Gynecology. He has received many honors, including SNMA Outstanding Resident Award 2006, John Halki Exemplary Physician Award 2006 and the Jack Gruber Excellence in Clinical Obstetrics and Gynecology Award 2006. 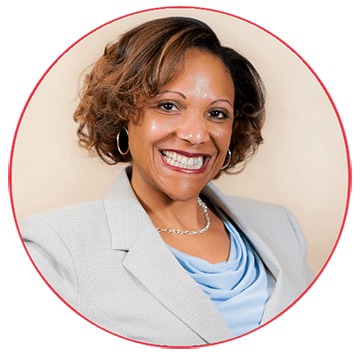 Dr. Harris is currently the Chair over the OB/GYN department in the Premier Health System. 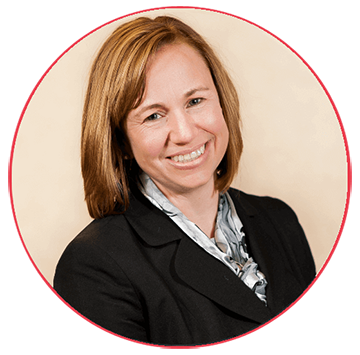 Dr. Rowser, MD is a 1996 graduate of the University of Cincinnati College of Medicine. She completed her family practice residency training at Miami Valley Hospital in 1999, and in 2000 completed a primary care faculty development fellowship at Michigan State University. For the next 10 years she served as Assistant Director at the Miami Valley Hospital Family Practice Residency. She has been recognized throughout the years with multiple teaching awards. Marcia Williams MSN, FNP-C joined Horizons in 2014 after graduating from Cedarville University for both undergrad (BSN) then Grad school (MSN). During her RN career she held national certifications in Oncology, Inpatient Obstetrics, and Fetal Monitoring. She most recently obtained a Family Nurse Practitioner certification that allows her to combine Women’s and Family Health. Studying hormonal changes in athletes and enabling them to be have sufficient energy to compete is one her main interests and the reason she volunteers with a local collegiate women’s team. Our providers and office staff pride ourselves in providing high quality healthcare to our patients. Our providers take education seriously and are committed to the training of future healthcare professionals. One-on-one full hands-on education with our providers along with real life patient care issues cannot be undervalued. Our students become a member of our healthcare team. Not just standing and watching but actively learning patient presentation, diagnosing common disease processes and leaving full of real-life education. An experience you can not get out of a book. IMPORTANT: Please check with your program to see if they will accept hours from a PAID preceptor. Several programs are fine but other programs will not allow it. If you we were recommended to Horizons from a student in your program that precepted with Horizons in the past, then you should be fine otherwise seek permission FIRST. Placement will not be reserved while awaiting program approval. Lastly – because he still delivers babies they get the added benefit of Obstetrics care also. His goal is that by the end of a rotation the NP student will be able to see and manage the needs of a patient without me being in the room, come out and present the patient, agree on a plan of care, and finish the charting/ meds / labs. We will schedule an online interview with the requested provider. A link will be sent. You can use a smartphone or web cam. The interview will take approximately 15 minutes. Fees: There is a charge for preceptorship one-on-one educational experience. Please email charlotte@hwhcf.com for the fee amount. The fee must be paid in full in order to reserve the requested time slot. You can pay by credit card for an additional 3% service charge. Cancellation: If a student cancels 45 days or more prior to the preceptor assignment start date, they will be refunded 75% of the preceptorship fee. If a student cancels between 20-44 days prior to the preceptor assignment start date, they will be refunded 50% of the preceptorship fee. If a student cancels less than 20 days prior to the preceptor assignment start date; they will be refunded 20% of the preceptorship fees. Paperwork: Students will be largely responsible for their perspective institutions paperwork. You will be provided with items like your preceptor’s medical license number and CV. Student Hours: Student are solely responsible to complete their assigned hours. If a student misses a scheduled educational experience, there is NO GUARANTEE that those hours will be rescheduled and there will be NO REFUND. If Horizons cancels an educational experience, all hours will be rescheduled. Special circumstances will be considered on an individual basis. Additional Charges: If any paperwork, forms, or signatures are required to be completed within 14 days or less from initial student contact with Horizons Preceptor Coordinator; a $250 fee will be added to the preceptor fee. Please refrain from calling the office as we receive a large number of preceptor requests per day. Please send emails only.